If you’re after a cleaning company that can assist you with end of lease cleaning, general housekeeping, spring cleaning or just some washing or ironing than look no further than Absolute Domestics – Cleaner Eastern Suburbs. Listening to the wants and needs of customers today, Absolute Domestics – Cleaner Eastern Suburbs know how to treat their customers with the uttermost respect and courtesy. Absolute Domestics – Cleaner Eastern Suburbs provide a professional, safe and reliable house cleaning service to all customers in the Eastern Suburbs. 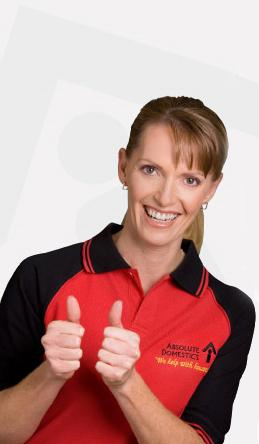 Why Choose Absolute Domestics – Cleaner Eastern Suburbs? With an incredible selection of cleaning services available at their disposal you’re sure to find what you’re looking for at Absolute Domestics – Cleaner Eastern Suburbs. Absolute Domestics – Cleaner Eastern Suburbs can provide washing, ironing, general house cleaning, end of lease cleaning, spring cleaning, vacuuming and dusting for anyone in the Eastern Suburbs. Absolute Domestics – Cleaner Eastern Suburbs can work around your needs and requirements so let them make your life stress free. With a flexible price and a tremendous cleaning service, it’s impossible to look past Absolute Domestics – Cleaner Eastern Suburbs. So for a fast, professional and thorough house cleaning service in the Eastern Suburbs, give Absolute Domestics – Cleaner Eastern Suburbs a call today.